At Crafting for all Seasons, we are having a new challenge and the theme is Handmade Flowers! Love this challenge. and of course I used a Bugaboo image called the ladybug vase! Love the cute little ladybug in this image! Go on over to Crafting for all Seasons and join in on the current challenge. 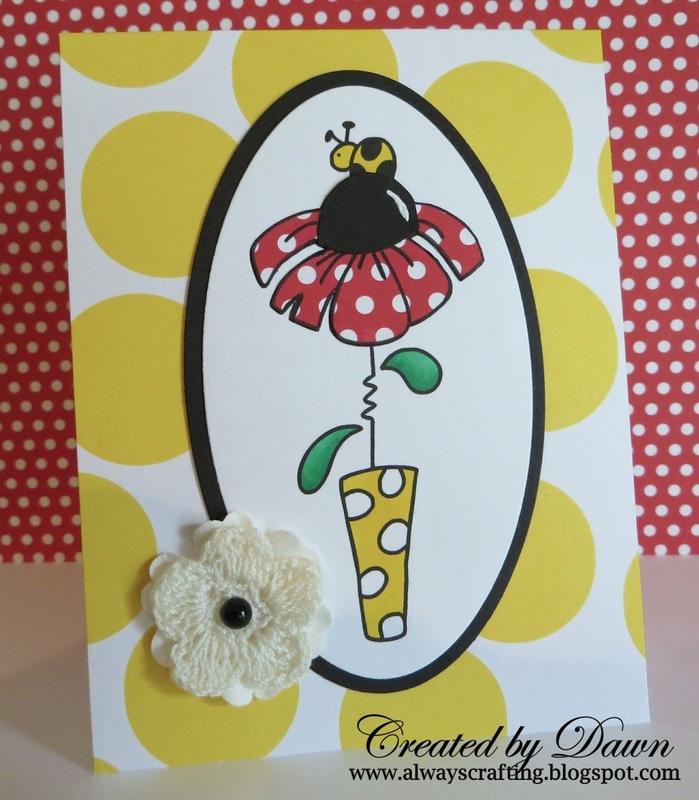 Beautiful card and I love crochet flower. This is beautiful Dawn, I love the bright colours and your background complements the image beautifully. Hi there Dawn, what a lovely bright card.